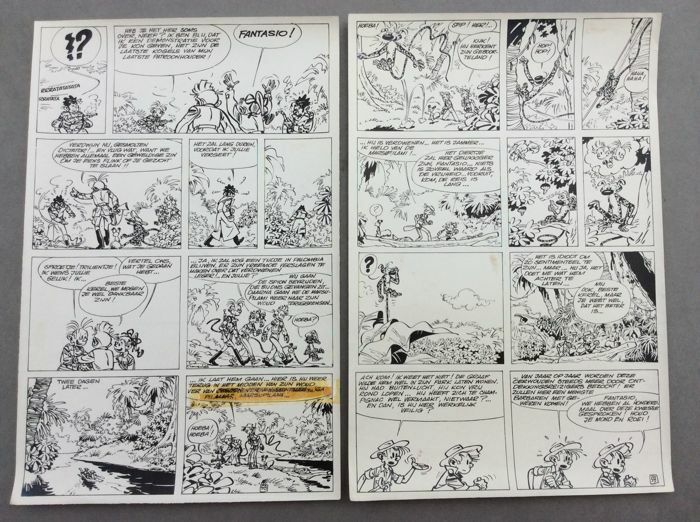 Set of two prints made in the early stage of the original plates, on A4 format with original Indian ink texts. 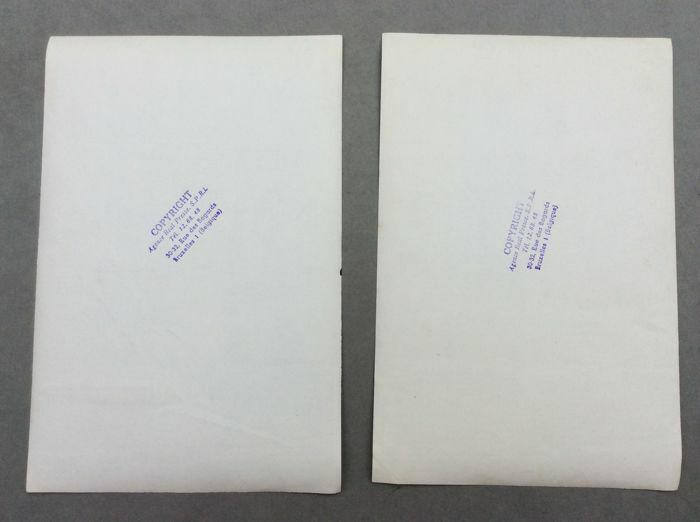 Remarkable prints assumed unique, bromide type on photo paper, made in 1963, for these two great Robbedoes plates. 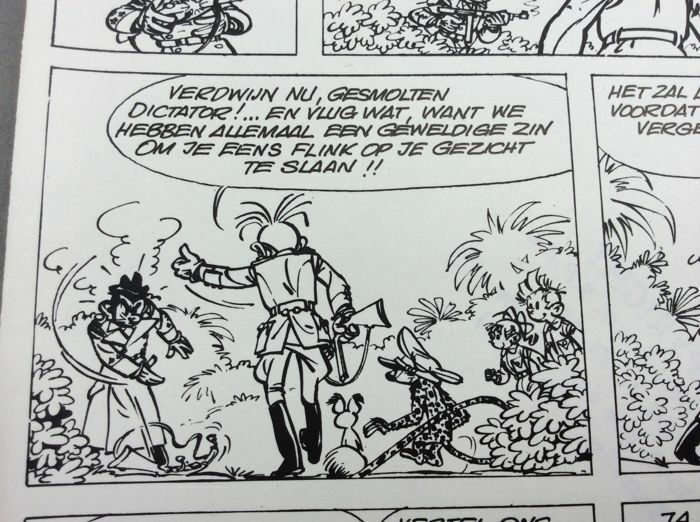 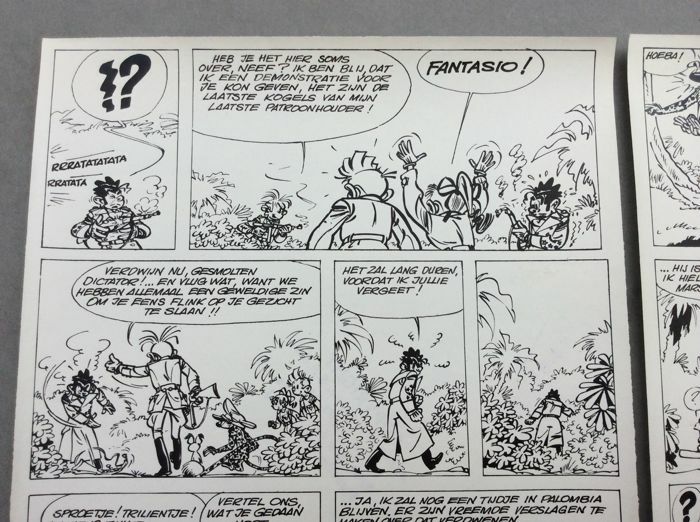 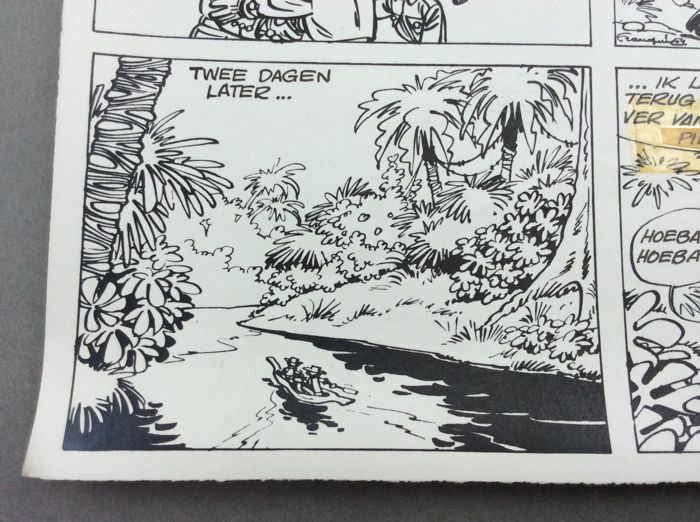 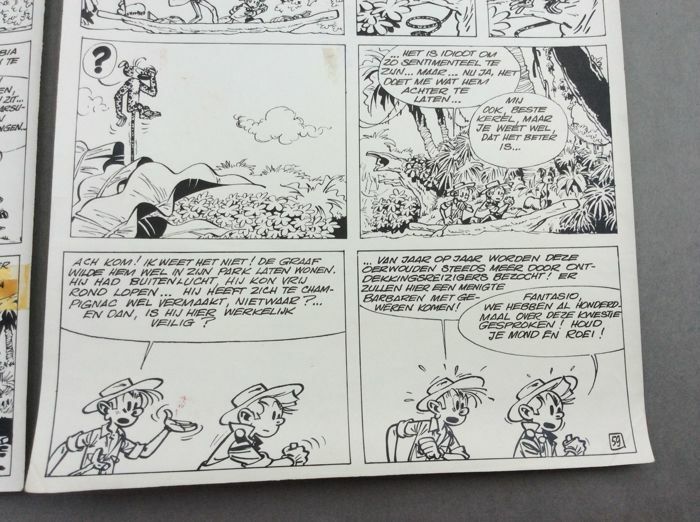 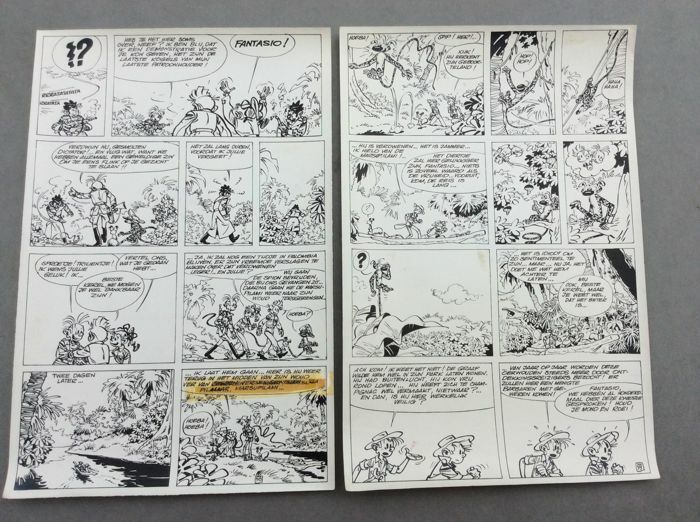 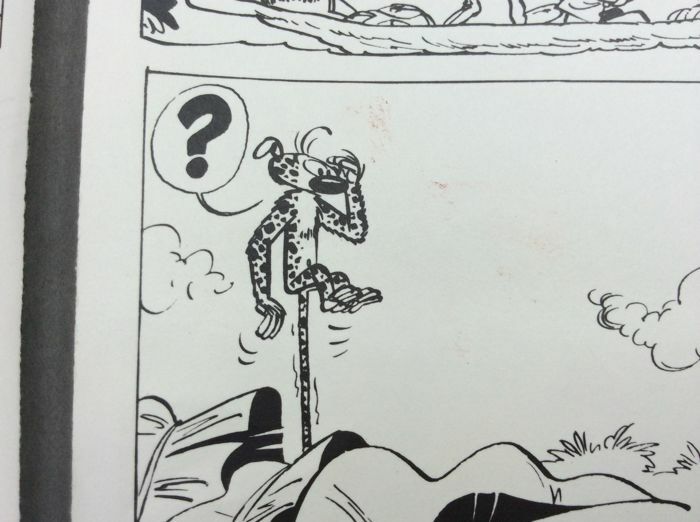 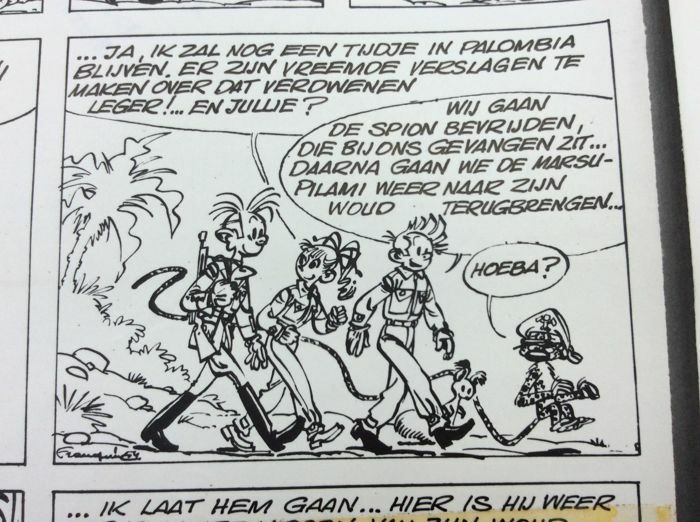 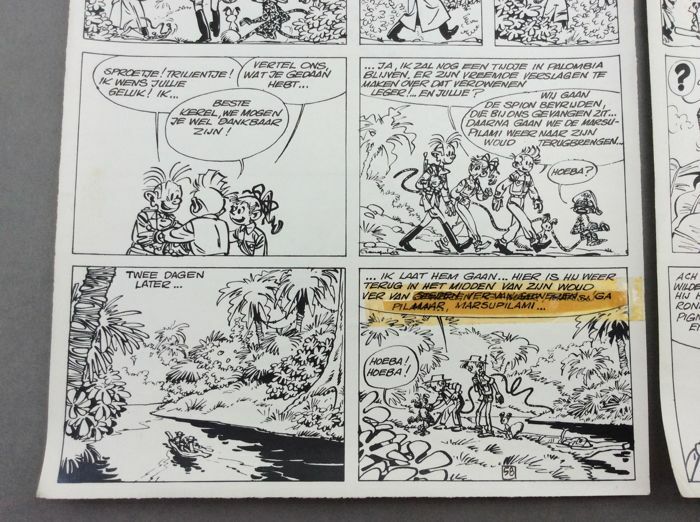 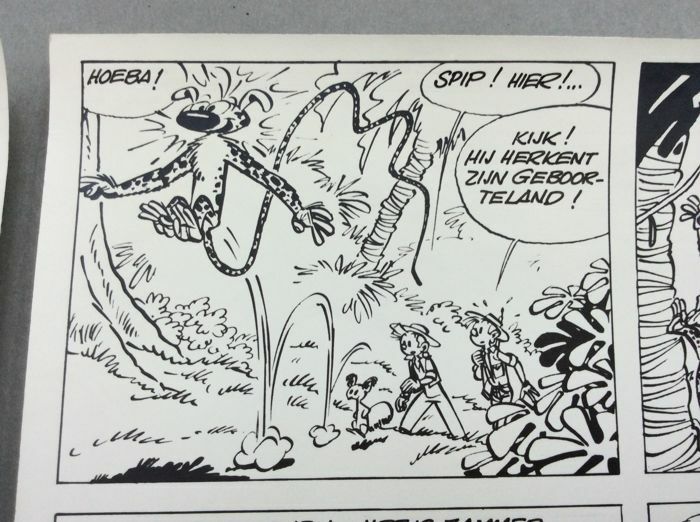 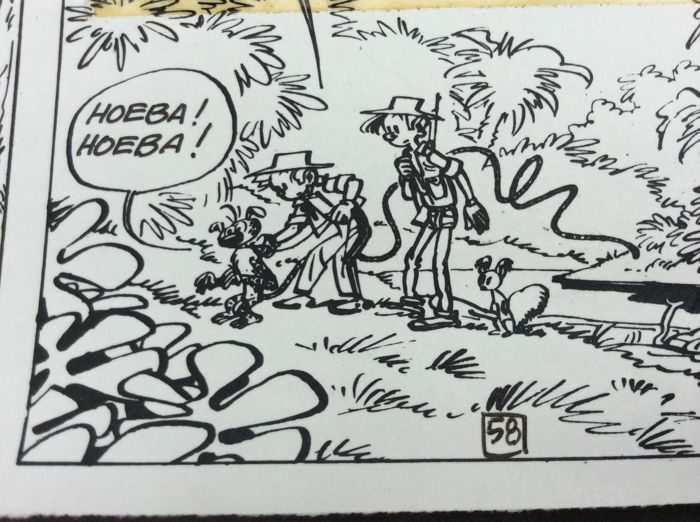 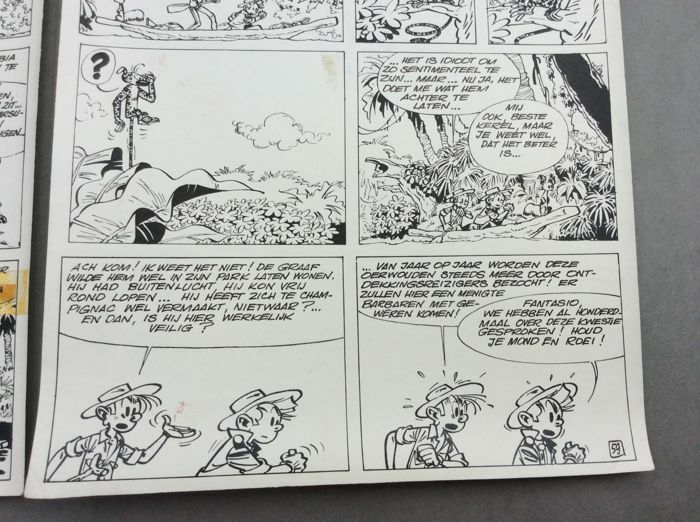 These are genuine printing works of the Real Press Agency for the publication of the adventures of Spirou in Dutch. 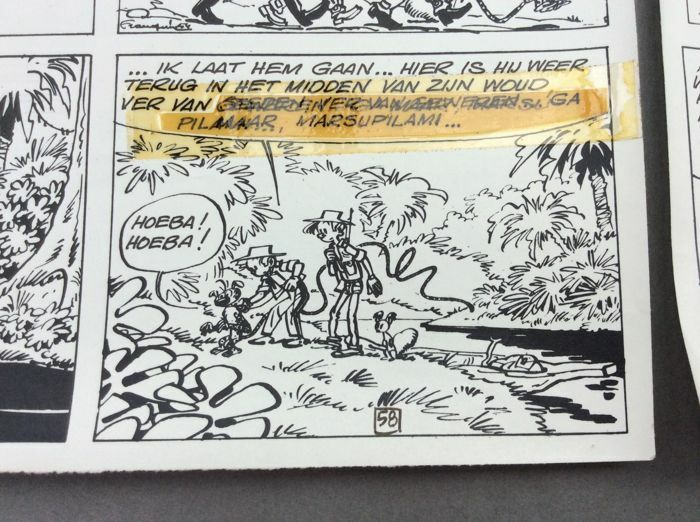 All texts and large letters exclamations are written in Dutch in Indian ink. 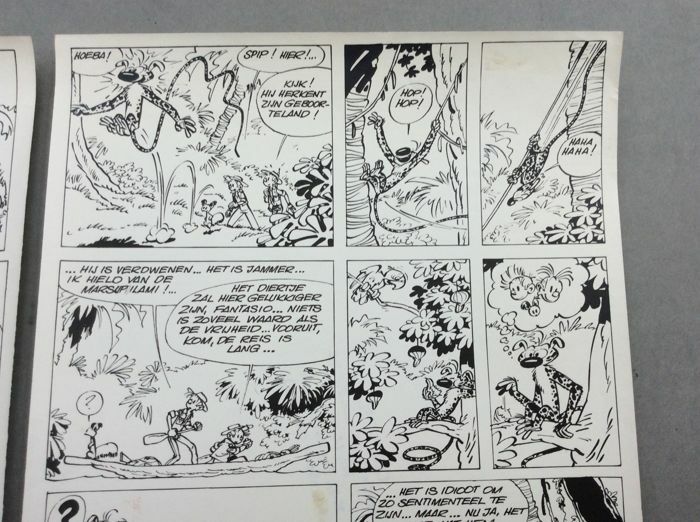 These are the two most beautiful plates of the album, with the Marsupilami on each plate. 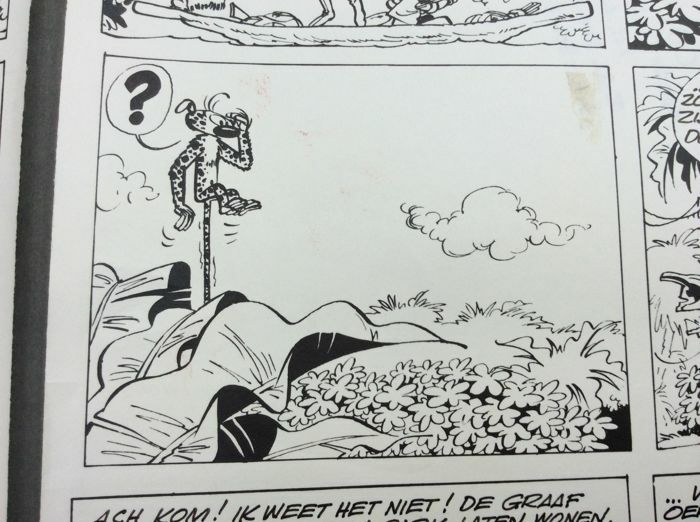 Very decorative and worth framing.